I began looking over some of the historical artifacts of BFF’s beginnings. It all amazes me, but the most amazing thing of all is that it ever even happened. The second most amazing thing is the speed at which these 15 years have passed. It must be the combination of a very busy ministry and raising a large family that moved the hands on the clock so fast. We are grateful, very grateful, for all that God has done for us over these years. Hopefully, I will complete the pictorial video summary soon. Thanking the Lord for you! Though we thank you for your prayers every month, we are also very appreciative for your financial gifts. Most ministries first make a budget and secure finances by raising funds first, then start. But from BFF’s beginning, the Lord has guided us to trust Him week by week. It is for this reason, we do not speak much about our financial needs. Sometimes we are in need (several months each year there is no income to distribute salary), but through the years, we see God uses His timing and wisdom to care for our needs. Whether it is for STM trips, love offerings for those in need (this year the Nepali earthquake victims), the translation ministry, or for the general running of BFF, God has always provided for BFF and our family–in His marvelous ways. (He prompted the hospital to pay for Linda’s huge health bill last year!) I say all this to thank you and mention how precious your gifts of love are to us and to the Lord. Thank you! If you would like to give to BFF, see the notes at the end. January 3rd starts the next semester’s series with the topic, “Walking in the Spirit.” This series on the Holy Spirit is much needed where confusion and ignorance reign. Already there are tens of pages of lessons that have been written (about 15). I am fine tuning the first two, readying to teach once January comes. Please pray that all of us would walk in the fulness of Christ! Right now, we have five books being translated into different languages: Bengali, Hindi, Burmese and Spanish. Praise God! I am so excited to see those nations that have so few good books get strong Biblical resources that challenge the soul and the mind. Two books are also in their final stages of editing before put into paperback. Pray for the translators and editors. They need a persevering spirit. 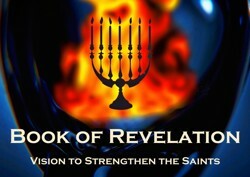 Thank the Lord for the extra energy and focus to study for teaching of Revelation. God has given much grace. Each week the world showcased various aspects of evil and the evil one. Join with me in thanks for the final preparations for our teaching team for the study on the Holy Spirit. We had two recent pre-studies where many decisions were made. What a team! Thankful that Kathryn has finished her first semester at Judson University, and Allison will finish her Masters in publishing any day now! Do join with us in thanking the Lord for providing each year for all our financial needs–even without a set budget or assured income. In celebration of God’s goodness we provide 30% off everything in the BFF store over $30. Pray for Dec 27th where I will both teach and preach on Revelation. Allison is looking for a publishing job in New York City. Pray for BFF’s translators and editors. Do pray that the Lord brings in all the financial gifts needed for the ministry and our family. Seek God to extraordinarily bless this coming semester while teaching on the Holy Spirit. Ask the Lord to fill us (and you!). The plans for the new web site are still in holding. Pray that it would move forward. •	Send a check addressed to BFF (or Biblical Foundations for Freedom). •	Make regular donations with ease going to your “Pay Bills” section on your online account. Just type in BFF and our address and a check will be sent for the amount you set up. No extra fees deducted, not even a stamp needed! •	Visit our Square account: mkt.com/bucknell where you can use your credit care to make a donation. Please note that BFF is an official 501(c)(3) nonprofit religious organization and able to offer tax deductible receipts for contributions in the United States. All USA giving will get email receipts in January after the end of the year which you can print. Individual onetime donations are individually responded to so you know we received them. Regular donations are not monthly responded to unless requested. Stay tuned. Our family letter will soon be emailed out. You can signup or check if we have your proper email address below.